I plan to retire at the end of this year - am I entitled to receive summer vacation pay? Do I need to attend the student free days? If you are completing the teaching year, you should resign as of the last day of the summer vacation (i.e. 23 January 2019) in order to ensure payment for the entire summer vacation. Whether you attend the student free days in January or not will have no impact to your entitlement. I am a permanent teacher on unpaid leave but have been employed on a contract for semester two. Am I entitled to payment during the Christmas break? For permanent teachers, entitlement for the summer vacation period is based on the number of school days that were worked during the school year. Remote schools attract an entitlement of 33 days’ vacation. All other schools are entitled to 28 days’ vacation. Leave loading entitlement will be paid in December. Permanent teachers who undertake periods of contract work during unpaid leave will receive a pro-rata entitlement to Christmas holiday pay in accordance with the portion of the year worked, i.e. one semester contract = 50 per cent of Christmas holiday pay. Formula: Number of days teaching service multiplied by 28 (or 33) days’ vacation divided by the number of days in the school year. Teachers on pay suspend over the summer vacation (e.g. a teacher who worked terms 1, 2 & 3 and is on unpaid leave from term 4 until the last day of the holidays) will be paid their entitlement as a lump sum payment in late December 2018. I worked full time in semester one but have since been on paid maternity leave at half pay, which will carry into 2019. What happens over the summer vacation period? Similarly to the above scenario, when on paid parental leave permanent teachers are entitled to a pro-rata payment for the Christmas vacation reflecting the proportion of paid leave during the preceding year. Even if the paid leave was taken at the half-pay rate, they are entitled to the equivalent full-time pro-rata Christmas pay. You should expect to receive the full payment for the summer vacation period. I worked in term one, however since then I have been on a combination of sick leave and income protection. My medical certificate covers me until the end of the summer vacation. Do I still receive payment for the summer vacation? Yes, the department pays for school vacations that fall in the first 12 months of sick leave (paid or unpaid). I am a mid-year graduate and have been on a contract for all of semester two. How much summer vacation pay am I entitled to? Temporary teachers engaged for a minimum 100 days in the school year, including at least 10 days in term four, or engaged for all of semester two qualify for a lump sum summer payment (LSSP). 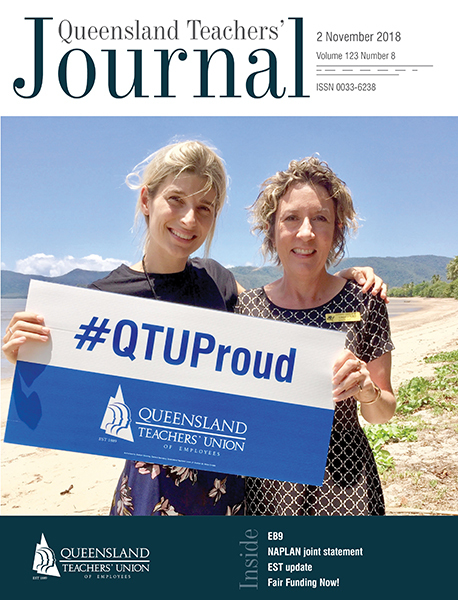 Further scenarios for temporary (contract) teachers can be accessed in the QTU information brochure “Temporary teacher vacation payments” (https://www.qtu.asn.au/brittvp) or by contacting QTAD on 1300 11 7823.